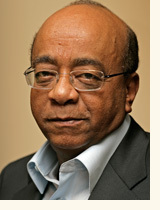 Dr. Mohamed (Mo) Ibrahim is a global expert in mobile communications with a distinguished academic and business career. As Technical Director with BT's Cellnet, he launched the first cellular service in UK in 1985. In 1989, Dr. Mo Ibrahim founded Mobile Systems International (MSI), a technology consultancy and software business. The company was sold in 2000 for $900million. Dr. Mo Ibrahim founded Celtel in 1998 to build and operate mobile networks in Africa. Celtel became one of Africa's most successful companies with operations in 16 countries. The company was sold to MTC Kuwait in 2005 for $3.4billion. Dr. Mo Ibrahim holds a BSc in Electrical Engineering from the University of Alexandria, Egypt, a MSc in Electronics and Electrical Engineering from the University of Bradford and a PhD in Mobile Communications from the University of Birmingham. Dr. Mo Ibrahim was awarded an Honorary Doctorate by the University of London's School of Oriental and African Studies and an Honorary Fellowship Award from the London Business School. He also received the Chairman's Award for Lifetime Achievement from the GSM Association in 2007 and the Economists Innovation Award 2007 for Social & Economic Innovation. Established in 2004, the Mo Ibrahim Foundation is an African initiative to recognize achievement in African leadership and stimulate debate on good governance across sub-Saharan Africa and the world. The Foundation publishes the Ibrahim Index of African Governance in collaboration with the Kennedy School of Government, Harvard University. 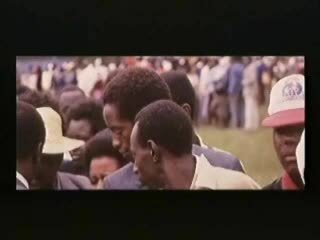 The Foundation also established the annual African Leadership Award, as the largest prize in the world. Dr. Mo Ibrahim is also the Founding Chairman of Satya Capital Ltd, an investment company focused on opportunities in Africa.